If the name Kim Taylor sounds familiar to you that’s because she appeared on the recent Bravo reality tv show called “Startups: Silicon Valley”. The show received critical reviews from both sides of the fence. Many were intrigued by seeing what the producers interpreted startup life as while others thought it was greatly over exaggerated. Regardless of his thoughts on the program, Mark Cuban, the celebrity shark on ABC’s hit tv show Shark Tank, as well as the prolific owner of the Dallas Maverick’s NBA franchise took a liking to Kim Taylor after the young entrepreneur pitched him at an accelerator demo day. Ranku is a new kind of EdTech startup that takes a hard look at the rankings of schools across the country. Rather then judging schools by there ranking, whether it be the US News & World Report List or some other school rankings list, Ranku judges schools based on what really counts, the ones that give students great job outcomes. Ranku was good enough to qualify for the first cohort of the Techstars Kaplan joint accelerator focusing solely on EdTech startups. This is where Cuban had the chance to meet Taylor. Taylor told Business Insider that when the situation presented itself she couldn’t help but pitch the millionaire. 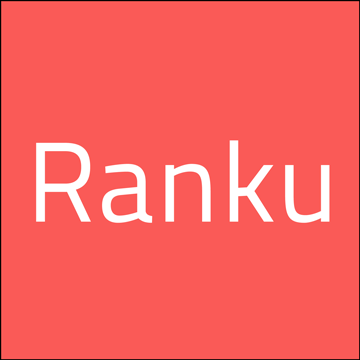 Cuban liked the idea and immediately decided not only to invest but to lead Ranku’s $500,000 seed round. Typically Cuban goes with his gut. He has had enough entrepreneurial and startup experience himself to figure out what works and what doesn’t work. Most startups that have talked about pitching Cuban knew within a very short time if he was interested or not. Once he soft commits to a deal it’s of course properly vetted out and every now and then one doesn’t go through but as with most things in his career Cuban is right more often times then not. In addition to having the backing of one of the world’s most well known investors Ranku was on the right path before demo day. Business Insider reports that the company had already landed the $500,000 round before demo day. Thanks for the article kevin! 🙂 Just one note – i never met or pitched mark at demo day nor did he attend it. I actually discussed the idea with him more than 18 months ago. I officially pitched him at my favorite Packers bar in Manhattan (Tom and Jerry’s) after he saw I built it via a Facebook post and wanted to hear more.